Brian asked me build him a frame that would be comfortable for the longer riders he wanted to start doing. He has a fully loaded touring bicycle and a road racing bicycle but he wanted that long one day ride bicycle to use more often. His only real requirement outside of the century feel was " mostly white paint and bees ". I asked if honey comb would be ok to add, he said yes. 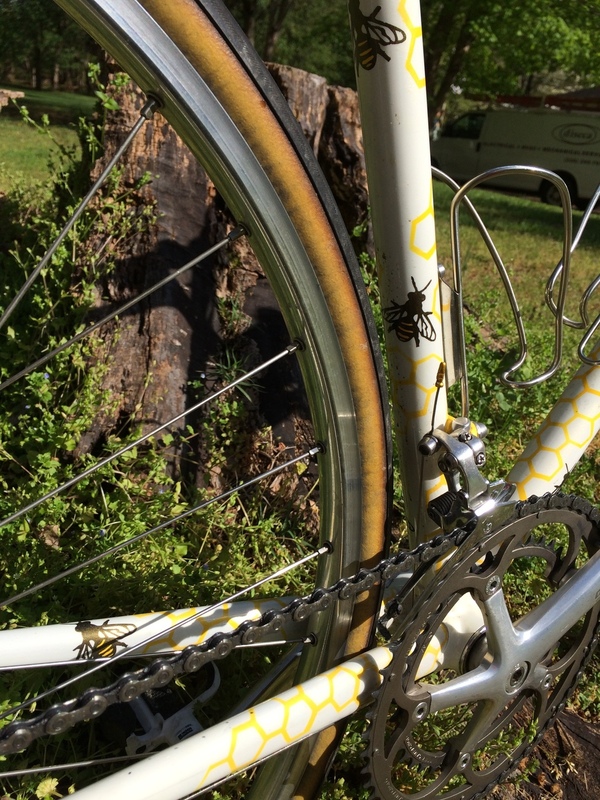 The honey drops in the lugs and bottom bracket shell were my idea.